It takes practice to find the "view through the grille." We often simply forget to look at situations through it, because such envisioning is far from automatic. As we know, we think of the grille being the will of God as this is revealed to us through Scripture and the teachings of the Church. We strive to look at and respond to all circumstances through the will of God and thus through God Himself; and we can place the focus either on the circumstance or on the 'grille' of God's will. 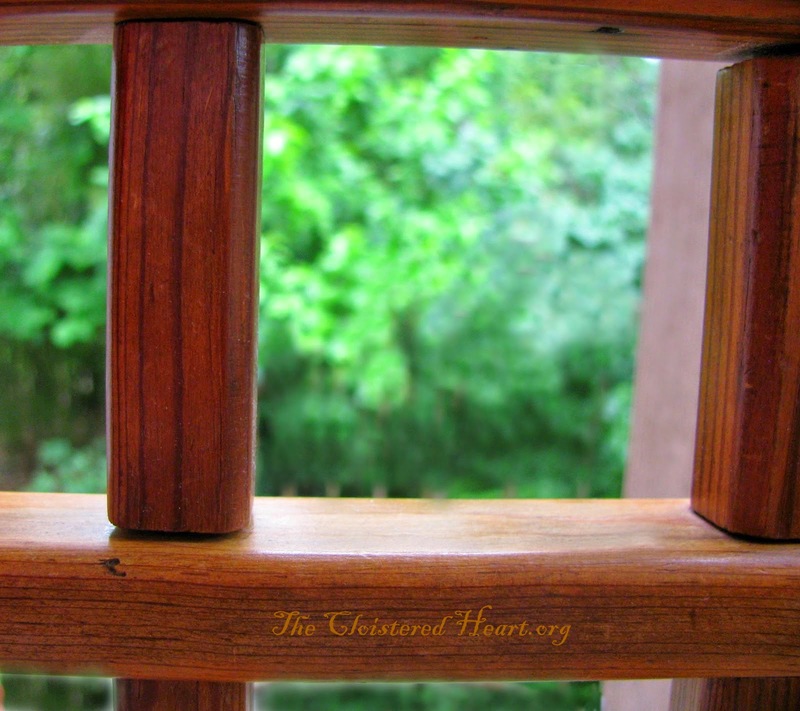 In today's first photo, the focus is upon what is outside the grille - the "circumstance." This is the way a Christian may often look at things in life. We might have the will of God IN the picture, but when our focus is totally on the situation, then how God asks us to respond to that situation may be fuzzy and unclear. We can so easily place our focus on temptations, illnesses, memories, circumstances; and when our focus is on these things, God and His truth and His will become fuzzy. In the second picture, the grille is the focus. We still see the situations, but our eyes do not dwell there. We see circumstances and we deal with them, but we do so with our focus on the will of God. As we go through the world, God remains dominant in our heart and thoughts and decisions. This is what we aim for; this is the ideal "view through the grille." Distracting, troubling, difficult situations will be encountered by each of us. Our goal is to become so focused upon God's word, God's will - in short, on God Himself - that He is the focal point of everything. He is our focus. 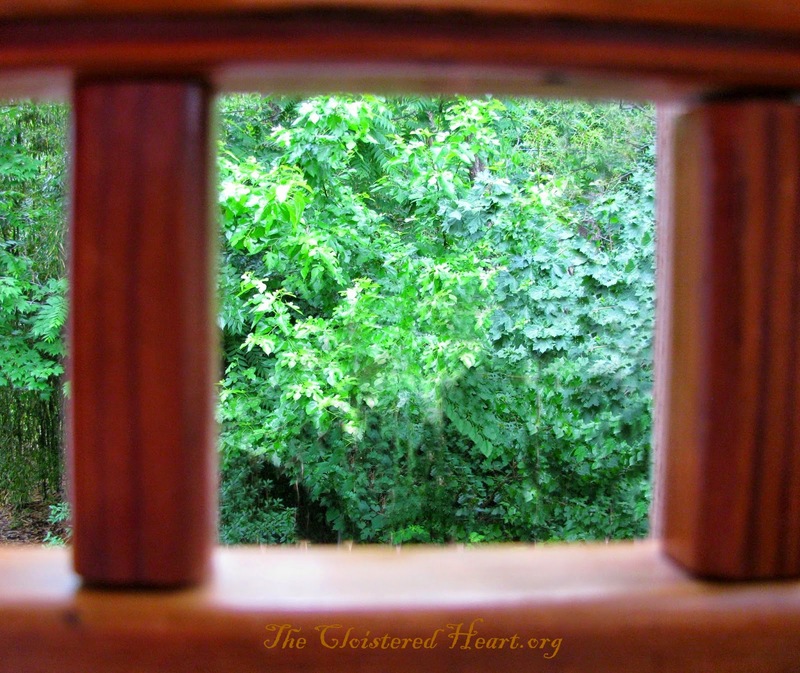 It takes time and practice to view life through the grille. I practiced such "viewing" just recently. I awoke that day feeling vaguely depressed. I was achy, my (aging) joints were complaining, and I'd gone to sleep reading a book that for some reason was pulling me down. Not a bad book by any means... but just not one that appeals much to me (I won't be finishing it). Then I remembered words of scripture: "put on the garment of praise for the spirit of heaviness" (Isaiah 61:3). Ah HA! I decided to sing hymns of praise. I decided to utter a few (inner) spontaneous prayers. And yes, it genuinely "worked." Even if I'd continued to feel low as the day went along, however, I could still keep choosing to praise God. I don't have to "feel good" in order to praise Him. He is good and holy and worthy of praise, and how I may or may not feel does nothing at all to change that reality. In days to come, I'd like to explore more examples of finding the view through the grille. If you would like to share a few of your own, I invite you to do so in the comments (yes, they're open here again). I recently found myself in a situation in which I was sorely tempted to react on pure emotion..but I caught myself thinking 'how can I bring peace to this situation?' It was a struggle.. but I was able to swallow my initial angry reaction and help two people close to me to be reconciled. It was through deliberately willing myself to find the Will of God in that particular moment. Nancy, your teachings are not falling on deaf ears! Blessed be Jesus and His precious Cloistered Heart apostle! Trish, thank you so much for sharing this. Thank you from the bottom of my heart.